Posted on September 22, 2009 by Alicia Bay Laurel	in Blog. 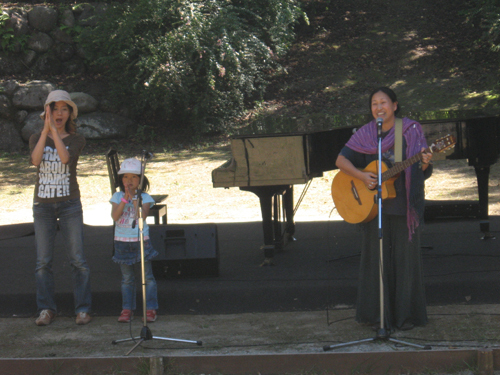 At the invitation of my friend Satomi Yanagisawa, I am visiting her and her adorable three-year-old daughter Sola, and performing at a local festival sponsored by the Mori CafÃ© near Kobuchizawa, Yamanashi Prefecture, that is, in the Japan Alps. 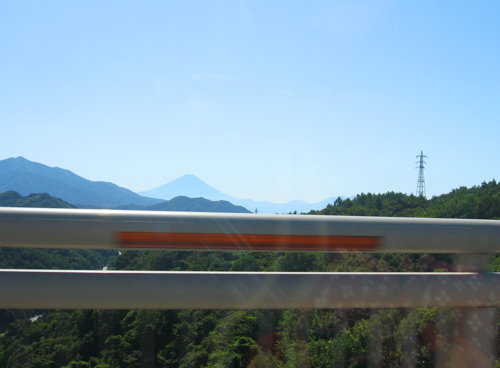 Satomi and I (and our friend Akiko) catch a rare glimpse of a cloudless Mount Fuji from the car window on a bridge on our drive to the festival from Satomi’s home in Miyota Village, Nagano Prefecture. 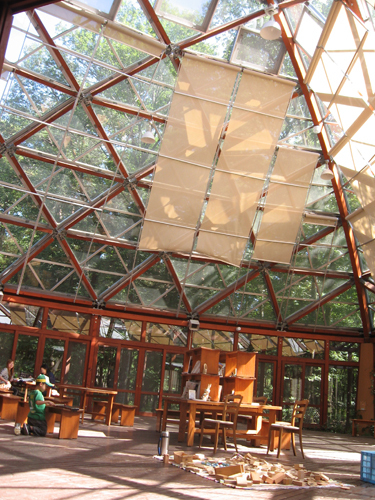 Â“MoriÂ” means Â“forestÂ” in Japanese, and this cafÃ© sits in the middle of a forest, which is viewed on all three sides of its geodesic glass tetrahedron dining room. 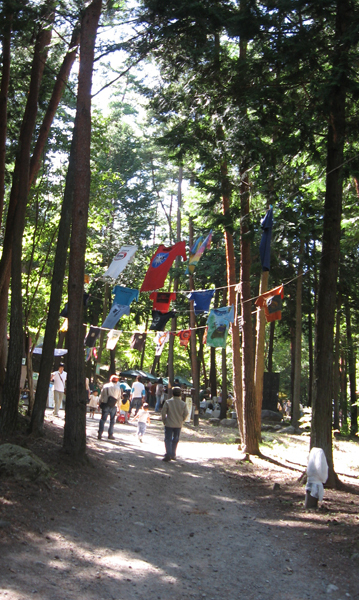 Prayer flags made of t-shirts adorn the entrance path to the food court of the festival. 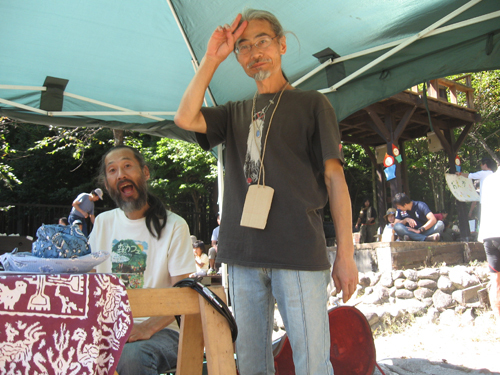 My friends Tabou and Hiro-san are doing the sound engineering for the concert. Tabou also performs a two-part harmony and guitar set with his wife Kyoko, including my favorite of their repertoire, Our House by Graham Nash, translated into Japanese. 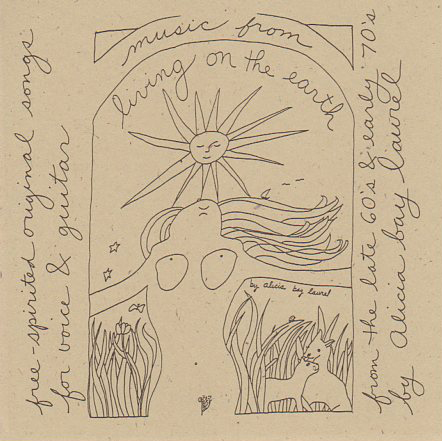 This is a totally appropriate song for them, as they are living happily in an exquisite house in the woods, designed and hand built by Tabou. 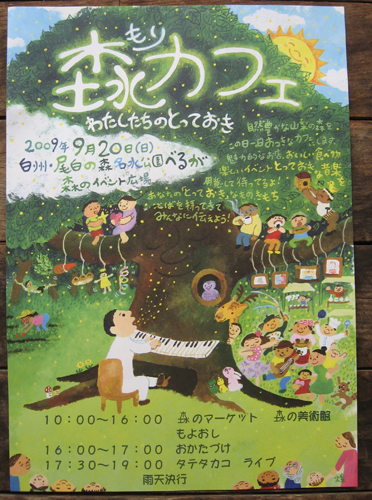 I performed a concert at their house in spring 2008. 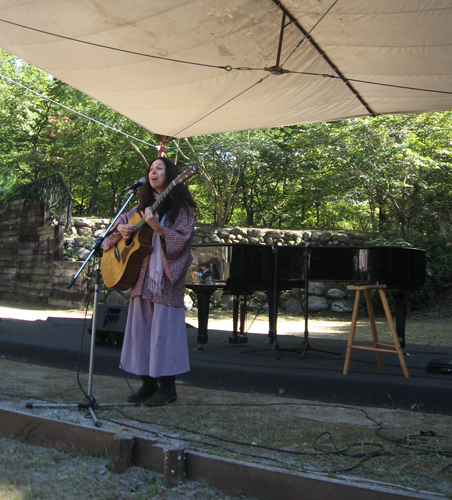 Warm and gracious singer/songwriter Yoshie, blessed with a gorgeous, resonant voice, and whom I first met at MotherÂ’s Day celebration at a Zen Temple in Ako City in 2007, sang a wonderful set as well. 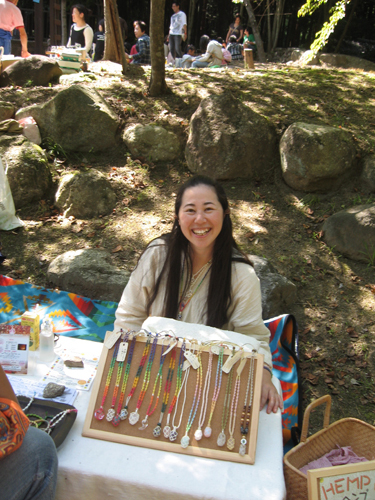 I bought a rainbow hemp bracelet from a sweet hippie lady whose booth was next to the one where Satomi and I sold my CDs and books. I played last on the program. 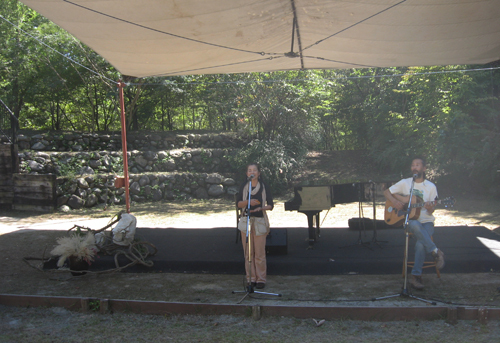 I sang and played songs from my last two CDs. 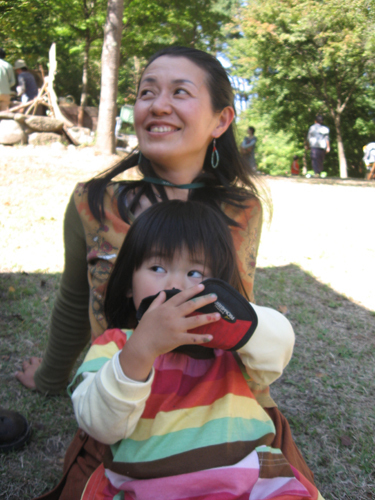 I am wearing culottes presented to me by Little Eagle, JapanÂ’s leading organic fiber folk wear fashion company, and a short antique kimono that was a gift from Satomi. And, of course, the rainbow hemp bracelet, plus Ugg boots and a lavender rayon scarf, in deference to the crisp mountain air.